(SitNews) - Back from the bottom of the world — where she had just experienced her second winter solstice in six months — Kristin O’Brien parked her shopping cart at the fish counter of a Fairbanks grocery. The biologist who studies “icefish” in the ocean surrounding Antarctica saw behind the glass a chunky filet of Chilean sea bass. She asked the man at the display if he realized why the store should not be selling it. No, he said, but customers had told him the cold-water, fatty fish tastes good. O’Brien then explained how the unique animal from the other side of the globe is at the heart of a fight for what many consider the last intact ecosystem on Earth. O’Brien is a professor at the University of Alaska Fairbanks at 64.8 degrees north. Every other year, during Alaska’s early summer and Antarctica’s autumn, she travels to Palmer Station, 64.7 degrees south. There, she and her colleagues study icefish that live in the frigid waters of the Southern Ocean. The pale, almost transparent fish have white blood, which indicates a lack of hemoglobin, a protein in blood that transports oxygen. Unlike every other animal with a backbone, the fish can do without hemoglobin because frigid water has more dissolved oxygen than warmer water. O’Brien studies icefish for what they can tell us about oxygen delivery to living tissues. She catches the fish aboard a ship off Palmer Station and studies them there. She also sends the hearts and other tissues back to her Fairbanks lab, where she and UAF students tease apart the mysteries of this organism so different from us. Introduced to the scientific preserve of Antarctica and the pristine Southern Ocean by the late Antarctic fish biologist Bruce Sidell of the University of Maine, O’Brien appreciates the unique nature of the continent and the waters that surround it. Larger than the Arctic Ocean, the Southern Ocean is home to more than 300 species of fish tolerant to extreme cold and dark. O’Brien studies the blackfin icefish, among others, and thinks the icefish are among the most remarkable creatures on Earth. She believes the same is true of that Chilean sea bass she saw at the Fairbanks fish counter. 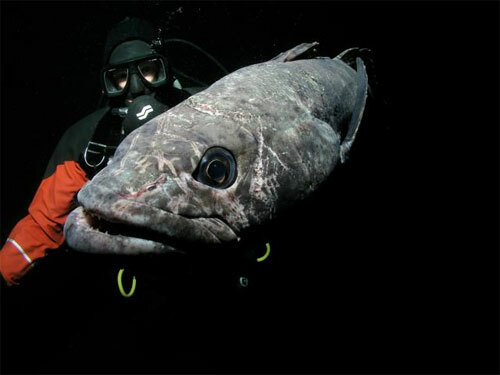 Also known by the name Antarctic toothfish, the cod-like fish can weigh more than 100 pounds and live 50 years or more. The fish had a sanctuary in the ice-clogged waters around Antarctica until 1996. That’s when the international governing body that manages fisheries in the Southern Ocean, the Commission for the Conservation of Antarctic Marine Living Resources, approved industrial longline fishing for toothfish in the Ross Sea. Ships chugged southward from all over the world, and their crews have pulled toothfish from the waters ever since. Since fishing began, O’Brien’s colleagues studying fish at McMurdo Station in the Ross Sea have caught fewer toothfish each year. It is now a major event when one comes up on their fishing lines. O’Brien and other biologists attribute that rarity to overfishing on a species scientists know little about. Researchers have never seen a toothfish egg, larvae or small adult in the Ross Sea and have no idea how effective the fish is at replacing itself. The sight of that mysterious creature in a subarctic supermarket was to O’Brien another sign that she should do everything she can to make people aware that the depletion of toothfish — which functions as the shark of the Ross Sea — would forever change the ecosystem there. “There’s simply not enough known about the biology of these animals to determine a sustainable harvest,” O’Brien said, referring to what she perceives is mismanagement by the commission, a group with representatives from countries including the United States. The commission met in November and did not reach a consensus on a proposal to make the Ross Sea a marine protected area.